Chances are that after you set-up the coffee machine and turn off all the lights before going to bed each night, you instinctively walk to the doors and windows to see that they are shut tight and locked. If you have a security system, you likely set the code as well. Many houses have floodlights installed in their yards to expose threats and make it clear that intruders are not welcome. We go to great extents to keep our loved ones and property safe. Our mental or spiritual well-being, however, is often overlooked. Sometimes we allow ourselves to be around toxic people who hold unhealthy control over our lives. Sometimes we watch scary movies that keep us wide-awake at night, unable to get the dark images from our minds. When it comes to threats that are unseen, there are several precautions that we can take to ensure we are safeguarding ourselves from a spirit of fear. It is important that we identify easy access points where threats and intruders could enter our minds, and take steps to lock those doors and windows tight! The two easiest access points for fear to creep in and plant roots are the eyes and the ears. Current studies estimate that the average person spends between 5-9 hours on social media each day, listens to approximately four hours music of music a day, and watches anywhere from 22-29 hours of television a week! We can no longer fool ourselves into thinking that what we watch and listen to that many hours of our lives has no influence on our minds. Yes, watching a scary movie with friends from time to time might be an adrenaline rush, but if it affects the way we think or makes us less firm in our faith or more prone to fear, we should limit the amount of access we give to these influences. It may be easy to limit the number of scary movies we watch or find more wholesome music to listen to, but the greatest influences in our lives are the people we surround ourselves with. If you fill your inner-circle with people who are positive, faithful, courageous, and hard-working, you will naturally glean these qualities yourself. However, if your closest influences are negative, doubtful, discouraging, or fearful, then you will find your courage and faith slowly erode away. This doesn’t mean you cannot be friends with or love these people, but be cautious when deciding how much access you want to give them to your mental well-being. Only you can know for sure what influences cause the most damage to your spiritual health. Therefore, only you can create a security plan that works for you! The trick is to be completely honest with yourself and consider the long-term effects of the music, videos, and friends you allow into your life. So when you go to bed each night and walk from room to room checking the windows and doors, take this time to visualize shutting and locking the doors to your mind as well. Identify new threats that could cause unease, and consider how you can protect yourself from those threats in the future. What steps are you taking to safeguard your mind and your spirit? 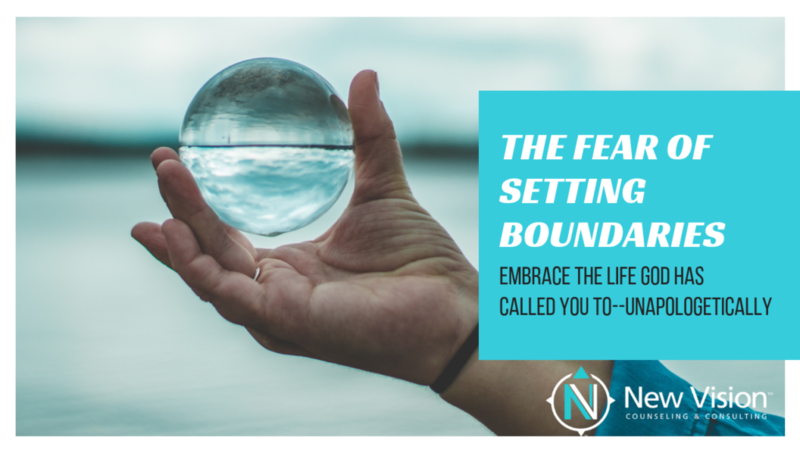 Are there any influences you are allowing in that are carving away at your faith and making room for fear? What doors do you need to bolt shut to ensure you and your family are living healthy lives free from the control of fear? You may not always be around when fear creeps into your child’s heart--but God will! By teaching your children to pray when they are afraid, you are teaching them that ultimately God is the only one who can protect and shape their hearts into hearts of courage, and that He will always be there for them, even when you are not. 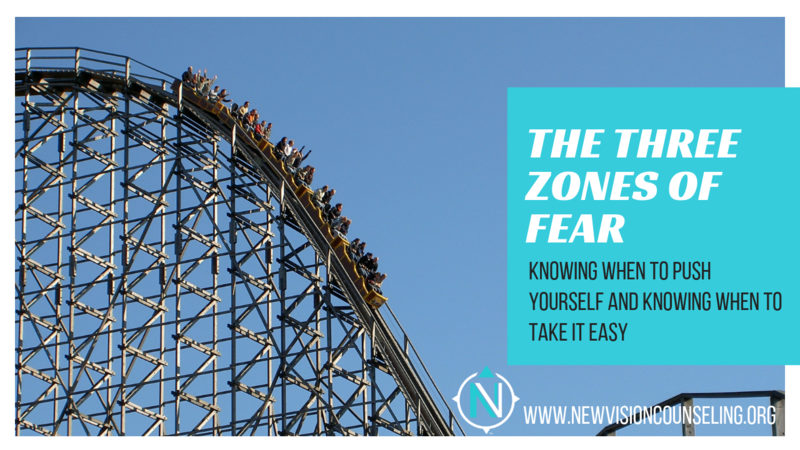 If we avoid facing our own fears, how can we expect our children to willingly face theirs? By acting as though nothing scares us, we are setting the wrong example. Model what it means to face your fears. Be transparent about what you are afraid of with them (age appropriately). Allow them to help you work through a fear of your own and don’t be afraid to let them see you struggle at times. This will reassure them that even their role models struggle with fear from time to time. Many fears are shallow, but some are much more complicated than face-value. Yes, your son may be afraid of the dark, but maybe the dark represents a deeper fear--fear of the unknown. Maybe your daughter is afraid of sitting in a room alone, but what if deep down she is afraid of being abandoned or left behind? You can’t heal what you can’t see so try to look beneath the surface ask questions identify the root of your child’s fear. As parents, our first instinct may be to protect and nurture our children from what scares them. However, without the ability to face their fears, they will struggle as they grow to be more independent. Hold their hands but fight the instinct to carry them through their fears or they won’t learn to walk through fear themselves. This may be the most difficult step! This process will take time. Sometimes, if the fear is encroaching on your own life (ie. you have a child terrified to sleep in his own room so he still shares your pillow) it is easy to lose heart and patience. In moments of frustration, remember that God how patient God has been towards you as you faced fears of your own, and whenever necessary, pray for more grace towards your child. We hope these five steps will help you nurture your children to be courageous and brave warriors of God! We want to hear from you, what steps have you taken to help your children face their fears? Share your tips in the comments below! And if you want to receive more tips and messages like this straight to your inbox, submit your email below to be added to our mailing list. We will only send resources we believe will bless you, so take advantage of what New Vision has to offer today! Did you know that “fear” is one of the most common themes discussed in the Bible? Believe it or not, God has a lot to say about how His people should be careful not to live in fear or give it control over their lives. Is fear a natural part of our human nature? Absolutely. Does that mean we should give it free reign over our lives? Absolutely not. Of course that’s much easier said than done. Remember David and Goliath? David didn’t step up to battle because he thought he had any stamina, experience, or height over Goliath--he stepped boldly up to a giant because the God He serves, who loyally protects him, is so much bigger! What are you afraid of giving to God that is holding you in a life of fear? How has God been faithful to you when you gave Him your fears in the past? What Bible verse do you need to memorize for when fear starts to creep in? If you would like to learn more about our services and see how New Vision can serve you or your family, contact us today. If you have a loved one who is struggling with fear or anxiety, share this message with them so they can feel empowered to regain control in a healthy way.